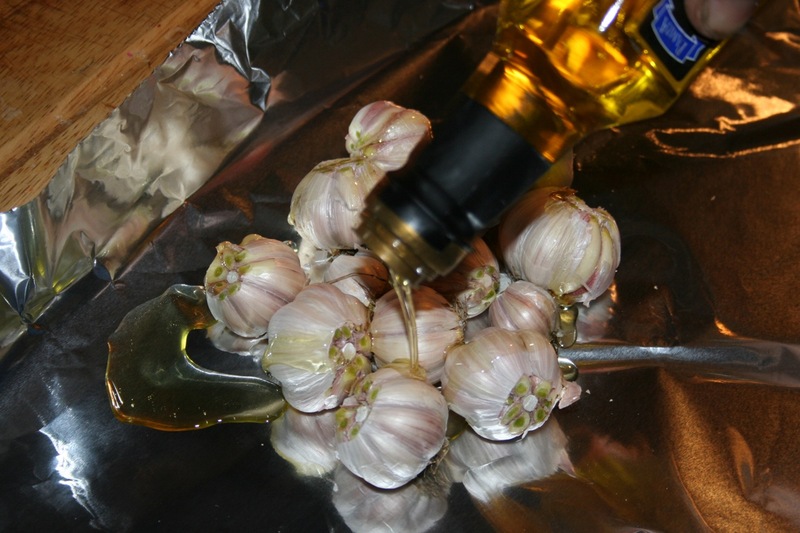 I planted garlic for the first time this year and will have a modest harvest; your experience is encouraging! Garlic is one of my favorite things to grow. I figured out this year that I need to plant about twice as much too. I will be buying more seed garlic as well. Your harvest looks beautiful! I’ve been wondering if the garlic harvest would be early this year. When did you dig yours up? Last week? Yes! Saturday, July 7. Some of them maybe could have stayed in the ground a few more days, but… I had an open day and I got it done. You’re in the Twin Cities, right? Go for it if you haven’t already! 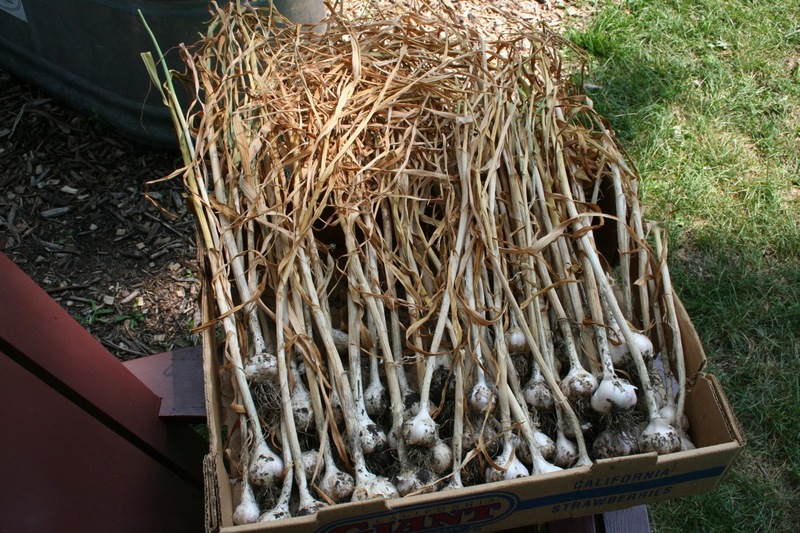 My experience with garlic, 20+ years, is to harvest when the 4 bottom leaves turn brown, (or later if waiting for dry soil) hang them in the barn until dirt on bulb is dry, brush off dirt and then clip roots and leave 1″ stem. Store in dry place. 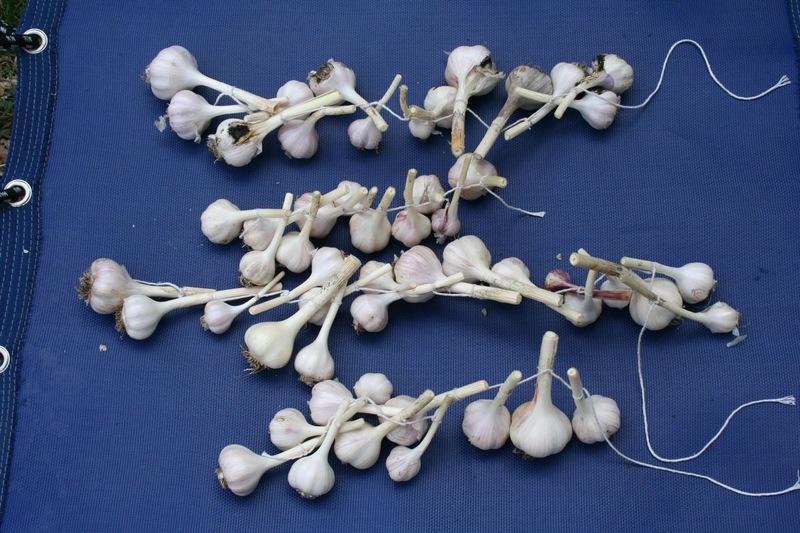 Last year I used my last bulb (about 50% useable) in mid-March….That’s almost 8 months of storage in a bowl at room temp cupboard….I plant the LARGEST cloves, about 70, after a good hard frost (sometime in Oct in the Upper Peninsula of MI) and eat the rest. Oh yeah, clip the seed pod as soon as possible and *eat the stem and pod)* delicious X2. Thanks for the info, Jen, I’ll try hanging my bulbs this year and see if I can lengthen their time of goodness. You’re welcome! 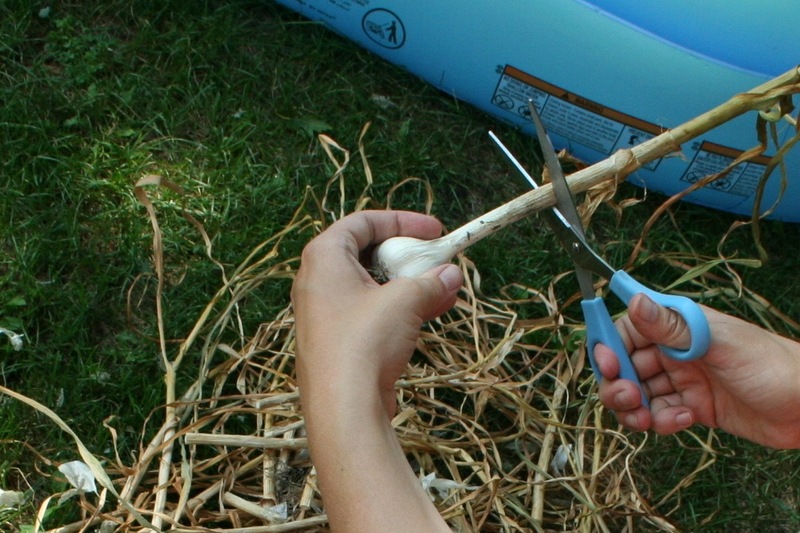 I didn’t plant garlic in 2013 (first time in several years) and was very sad not to have it this spring/summer. I will definitely plant some this fall. The way we cured it and hung it, we’ve had it last 12 months. It might have lasted a tiny bit longer than that but we ran out at that point. WOW! 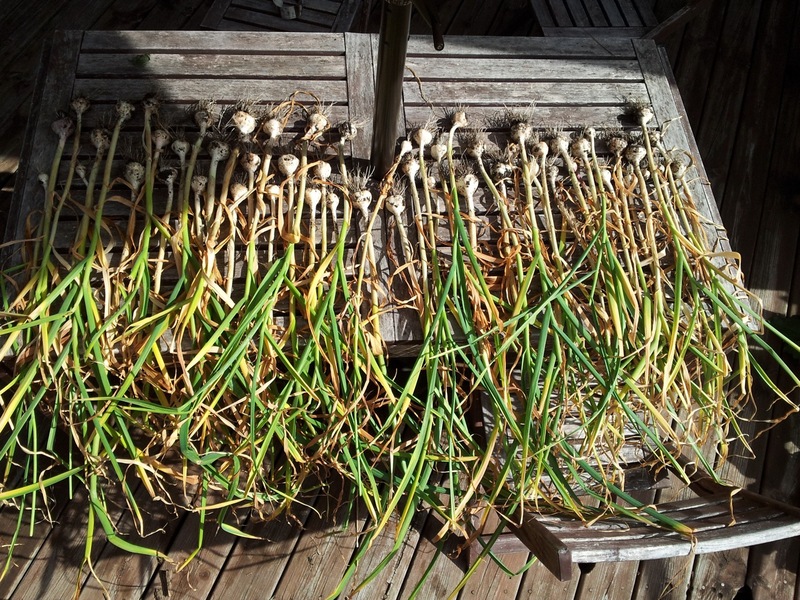 To have garlic last 12 months is WAY beyond my most optimistic expectations….My variety is hard stem purple. The locals call it *Italian* or Northern. I’m experiencing much larger bulbs/cloves compared to your picture. I plant raised-bed, organic w/heavy compost. Very good drainage and water moderate to heavy until seed pods develop. Do you plant the LARGEST cloves? I did clip my stems longer, like you have shown, maybe that’ll give a bit more longevity to the keeping quality. Thanks again, Jen. Another way to extend the life of the bulbs is to put them in mesh bags and hang them in the pantry at room (or sligltly cooler) temperature. My purple-stripes last pretty well for almost a year, and I’m now harvesting this year’s crop, so I’ll be making ‘chicken with 40 cloves of garlic’ just to get rid of last year’s bulbs.